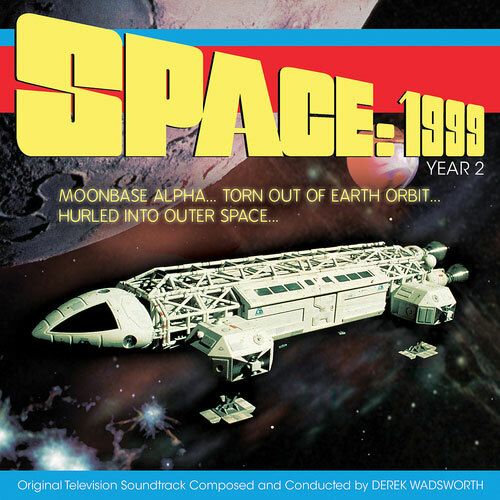 Space 1999: Year Two was launched in September 1976 and marked Barry Gray’s departure as a long time composer for Gerry Anderson’s productions. Derek Wadsworth took over the scoring role and brought the music up to date with his trademark mix of jazzy sounds and analog synths. Derek Wadsworth had a long and successful career as a composer, trombonist and session musician. For over half-a-century he played, arranged and conducted for some of the biggest names in music including Dusty Springfield, George Harrison, Judy Garland, Dionne Warwick and many more.